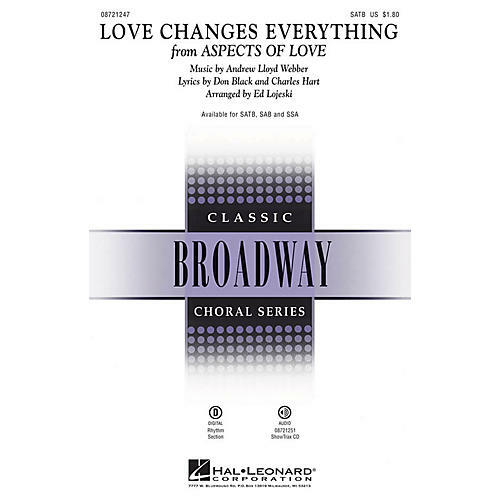 The expressive ballad from Andrew Lloyd Webber's smash hit Broadway musical, Aspects of Love. Available separately: SATB, SAB, SSA and ShowTrax CD. Rhythm parts (syn, gtr, b, dm) available digitally. Duration: ca. 3:25.